The HealthOffice® Anywhere nursing services application makes accurate Medicaid billing documentation extremely easy and it maximizes school revenues. The Medicaid revenue produced by school nurses more than pays for the software. It should also provide substantial additional revenue to help pay the salaries of school nurses or provide funds for other nursing department needs. Using the integrated Medicaid documentation functionality, medical diagnosis, procedure codes, and other required information can be recorded, generally automatically, by the use of templates, as a part of documenting each encounter. 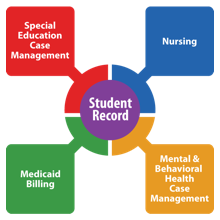 The Medicaid documentation functionality provides the ability to record the specific ICD-9/10 code at the time any scheduled nursing, special education, or mental/behavioral health procedure is initially set up. 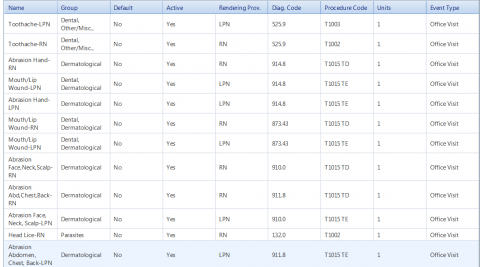 When the scheduled (or prn) medication is dispensed or the scheduled procedure is documented, the correct ICD-9/10 is automatically recorded in the documentation, providing accurate entries and saving hours of coding time; whether or not a template is used. 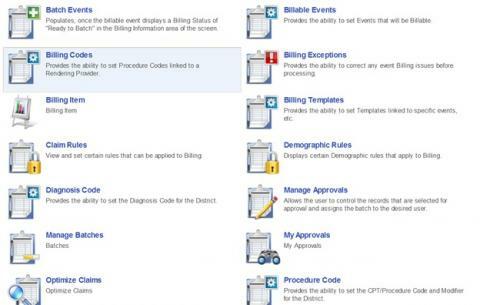 All of the state-specific billing procedure codes and modifiers for each job classification are recorded as part of the initial configuration, and the software automatically restricts use of specific codes to each billing provider to her/his specific job position. The system provides the ability to record the professional license(s), including expiration dates, and qualifications of each user, and notifies the user and her/his supervisor prior to license expiration. The Medicaid billing integrated system will not submit a Medicaid claim for a provider needing a supervisor&apos;s review of the documentation unless the approval is documented and attached as part of the event record. 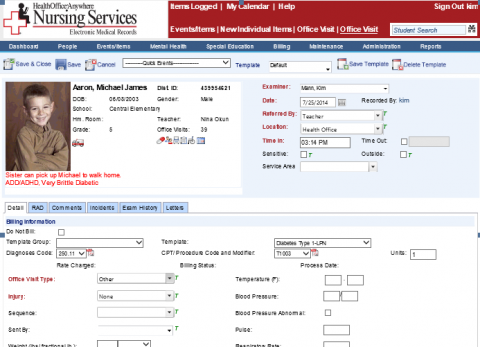 Prior to transfer of billing information to Healthmaster&apos;s Medicaid claim processing service, the program verifies that the particular school was in session on that day and, as part of a future enhancement, will compare the date of each recorded service with the student&apos;s attendance records to better ensure the accuracy of each claim for purposes of submission and audit. At the present time, the system will not allow a claim to be submitted for any scheduled event where the student has been recorded as absent. containing, when necessary, a supervisor&apos;s approval and authorization. Learn more about the HIPAA compliant clearinghouse. Request a demo now to learn more about our school Electronic Health Records's Medicaid Billing feature.